Hot on the achilles of the Manchester Centre for Youth Studies series of lectures, ‘Contesting Youth’, comes a proposal from the Coventry University Childhood and Youth Studies department, ‘Working on the Margins’. Hopefully these initiatives mark a revived interest in a critical rather than conformist engagement with the situation faced by young people today and the meaning of youth work within these circumstances. I am very glad to be able to bring you details of the first Coventry University Childhood and Youth Degrees symposium series. This first symposium series will focus on Young People and its theme is ‘Working on the Margins?’. 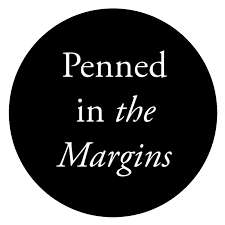 ‘Working on the Margins’ refers both to working with young people ‘on the margins’ of society and working in areas of practice which have often been seen as ‘on the margins’ of youth work practice. The first event in our symposium series will focus on youth homelessness, and will be on Monday 1st December 2014 from 9am-1pm. We are very glad to be able to confirm that the opening keynote for our first symposium in October will be delivered by Homeless Link, who are well placed to set the scene for the days discussions. Our main keynote will be delivered by Dr Nick Maguire from Southampton University whose work on Psychologically Informed Environments (PIE) has been extremely influential within the homelessness sector, and we expect his input to provoke much thought and discussion on the day. Alongside these keynotes we will be running two workshop streams, each of which will be 40 minutes in length. If you would like to run one of these workshops exploring a topic that is consistent with the theme outlined above please e-mail Michael Whelan on: michael.whelan@coventry.ac.uk. The day has been themed and structured so as to appeal both to academics and practitioners and, as such, we welcome workshop inputs from both. Once registered you will receive further details in relation to the venue and the programme for the day, however, if you have any question in the meantime please send them to: michael.whelan@coventry.ac.uk. Lastly, some additional details and dates for your diary. The themes for the second and third symposiums in this series will be ‘Working on the Margins- Youth Mental Health’ on Monday 2nd March 2015, and ‘Working on the Margins- Safeguarding Young People at Risk’ on Monday 15th June, 2015. We will look forward to seeing you at one or more of these symposiums. Next Youth Workers to advocate entrepreneurialism, to become today’s Careers Advisers?